Inside Armoury House several of the elegant rooms are available for hire, including the atmospheric oak-panelled Long Room which is one of London’s most stunning venues for a meeting, dinner, reception or party. 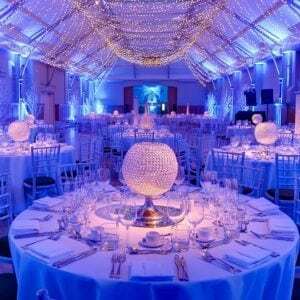 Armoury House and the Prince Consort Rooms are undoubtedly magnificent but what sets the HAC apart from other City venues is the spectacular, six acre Artillery Garden. This can be hired for sports such as cricket, football, rugby, softball and croquet as well as for corporate fun days and barbecues. The HAC is a truly unique venue for summer parties and events. Nowhere else in the City of London can offer so much. From the smallest meetings to the largest parties, historic to modern, indoors to outdoors, the most formal to the most fun, the HAC has a venue to suit every event.